The new constitution promises more of the same. It’s time for the public to make their voices heard. The repercussions of poor governance in Vietnam are such that the system of governance and constitutional structure need to be fundamentally changed. Much discussion has focused on a roadmap leading to participatory democracy, market mechanisms free of socialist guidance, rule of law and civil society. The challenge is great, and any transformation will depend entirely on the political willingness of the Communist Party of Vietnam (CPV). Observers have been waiting to see if anything will change among its elites. In its latest report on October 2013, the CPV squashed any optimism. The Party is insistent that its leadership remain unchanged; any constitutional reform that does not leave the CPV in power is unthinkable. Public hopes for any kind of rebirth seem an impossible dream. The National Assembly will ratify a new constitution on November 2013, and it will be the one imposed by the CPV. The debate over the new constitution has been top-down. The result will inevitably be public frustration at the persistence of the old paradigm, especially Article Four, which provides for the total supremacy of the CPV. The new constitution will also give the CPV ample loopholes for interpretation. So much for the euphoria at the dawn of a new age. For economists, meanwhile, the questions are these: Can the new constitution rescue the economy? And how, specifically, will economists make that happen? 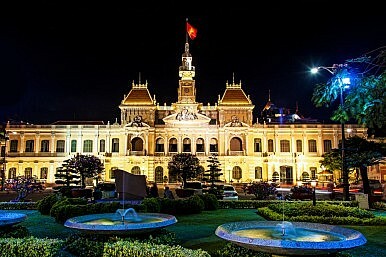 It is generally agreed that Vietnam’s macroeconomic performance following the reforms that began in 1989 has been impressive. Until 2009, there were some striking successes. Unlike pioneering East Asian reformers, Vietnam had a latecomer’s advantage, which accelerated the catching-up process and enabled it to adopt foreign know-how and mobilize capital. International aid donors and investors have assisted. However, growth has slowed considerably since 2011, and looks set to slow even more. Vietnam has been struggling with the challenges of a much-needed structural rebalancing. Like China, the economy is plagued by instability, imbalance, and a lack of sustainability, with all the social and environmental costs these imply. The export and manufacturing economy is faltering. Elites must respond with a vision to reorient the economy, within a context of global uncertainty. Of course, investment must remain a key driver for growth and technical innovation, with capital investment helping to develop industry. But policymakers also need to address a sclerosis that has been caused not only by external and cyclical factors, but also by internal structural imbalances. For its part, the government must reassure investors that the rule of law will prevail. It must also improve the quality and delivery of education, health care and security, helping the economy move up the value chain. Measuring the quality of innovation, competition and institutions will play an important role in this regard. Moreover, realists repeat the refrain: Vietnam cannot rebalance overnight. Clearly, state-owned enterprises increase systemic risks and will not exit the market for as long as special interests block reforms. This is probably the best example of the bluntness of policy instruments, and for as long as the CPV remains helpless to deal with this, growth will continue to underperform at levels below 5 percent. The long-term effects are less predictable. More broadly, the model of state capitalism plus one party rule has its limits, as government is unwilling to accept political reform. The Politburo devotes its energy to maintaining the power status quo. And what of Vietnamese civil society? Could it perhaps achieve what politics and the market cannot? That is for now at least unknown, but what civil society can do is help Vietnamese people to find their voice, and start a more robust public discourse. CPV rule will not last forever, and an engaged population can help facilitate a peaceful transition. The new law aims to introduce greater accountability in a system often seen as anachronistic in the 21st century.